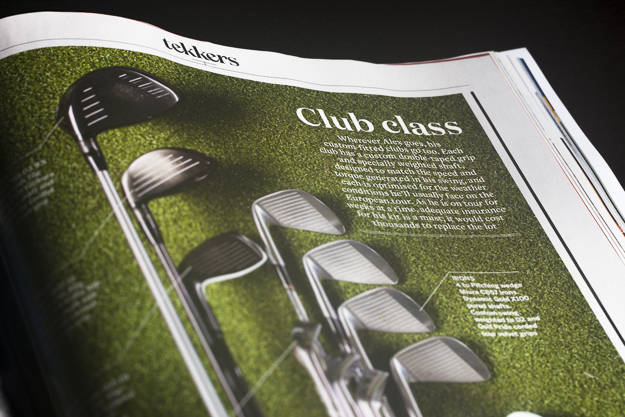 We are delighted to have our images featured on a double-page spread in Forever Sport magazine for an article featuring Alex Wrigley, a professional golfer from Hartlepool. We travelled over to Hartlepool golf course for the shoot where we met Matt from Forever Sport, and Alex. 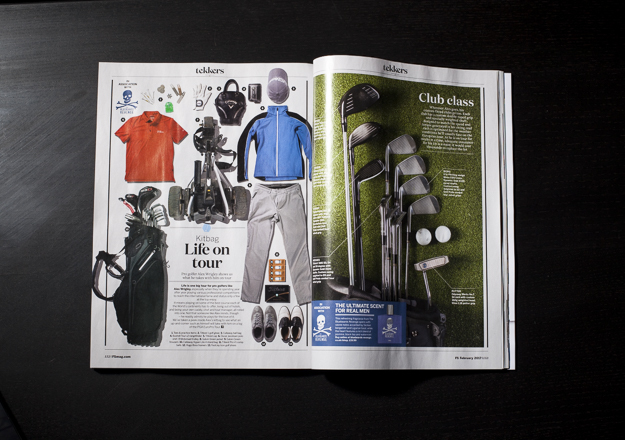 Our golfer had prepared his bag full of kit that he’d take with him on the pro tour for us to photograph. 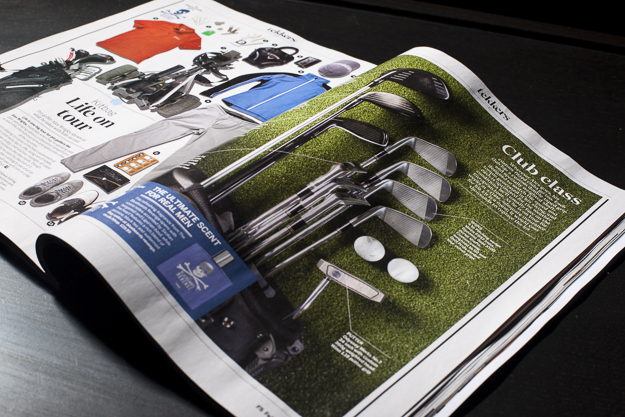 We also took a contextualised feature shot showing selection of Alex’s clubs on his personal putting green. We were very pleased with the images and Forever Sport has done a fantastic job of presenting them along with an interesting article. Cal has carried out many assignments for Cleveland Technologies Group. We know what we want to shoot but often not how best to present the product. This is where Cal comes in to his own – he can follow direction but also he can make sound judgements about how to give the shot the individuality which sets it apart from other similar images and therefore give it added impact.His photography has featured in many of our press releases, advertisements and product catalogues and I would not hesitate to recommend his services to others. I have had the privilege of working with Cal on a number of projects over the past three years. He is creatively excellent and shows real passion for his work. He is able to work with pupils and people of all ages, ensuring a professional yet relaxed atmosphere. Cal really takes the time to get to know you; your brief, organisation, marketing objectives, etc. and adds significant value above and beyond expectations. His results and images are nothing short of outstanding and come highly recommended.